Dieu du Ciel is one of the best breweries in all of Quebec, no - All of Canada... NO... IN THE WORLD! However, all DDC beer in Manitoba is limited to beer that you/your friend/family member purchased in a different province (technically illegal nonetheless, unfortunately). 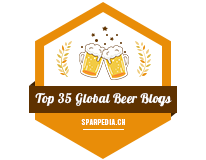 I've already reviewed a few beers by Dieu du Ciel, including Blanche du Paradis and well, their beers have been quite solid from the limited exposure I've had of them! 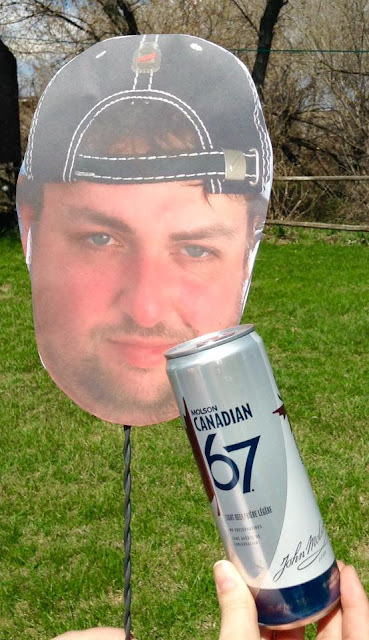 My friend Mike did a hockey trip out east to see the Ottawa Senators and New York Rangers play, and on the way, he picked up some beers whenever possible. His goodies he gave me included this, Aphrodisiaque and Péché Mortel. Considering this has been on my wish list for a very long time (since 2009), I am incredibly excited beyond belief. Appearance: Thick pour, very dark roasty brown, of course much lighter in thickness than a milkshake but thicker than some porters. There's also a nice ring of a cookie dough beige creaminess of foam at the top. Aroma: This takes me back to Cold Stone Creamery (at the Tim Hortons in Winnipeg) (ED - NO LONGER EXISTS AS OF LIKE 2015) - it's an ice creamy aroma - a big whiff of vanilla, followed by coffee and chocolate. This reminds me of an iced cap ice cream from CSC. Very mouth watering aroma. A bit roasty, quite sweet, but certainly has the aroma of a melted iced cap ice cream on a hot hot summer day! Taste: Incredibly creamy on the palate, it really caresses the mouth and leaves a slight creaminess in aftertaste. If ice cream was in beer form, this would be close to it. Thanks to the vanilla, with a bit of coffee roastiness and some chocolate, it's quite an ice creamy sort of beer. As the Aphrodisiaque warms up, the roastiness of the malts leaves a bit of a slight acidic and roasty aftertaste. To be honest, the closest stout it reminds me of is St Ambroise Oatmeal Stout, and it's not that compareable, though it has a certain similar oaty bitterness in both of the beers. Overall Thoughts: There's obviously a reason why this beer is rated the SIXTH best beer in all of Canada on RateBeer (ON AUGUST 9, 2012), it's good. I can't think on the top of my head if I've ever had a stout that has ANY vanilla, if not - this is the first, why aren't there more vanilla stouts? It's good! This is the kind of stout that reminds you of a mocha ice cream, and in fact - if this was available in Manitoba, I'd make it into ice cream as it's nice and creamy, the vanilla, coffee and chocolate compliment each other. This isn't quite a summertime beer (or wintertime), but's one of those beers to treat your palate once in a while, as if you deserve it! I don't know why this isn't available in Manitoba, it's a tasty tasty stout! 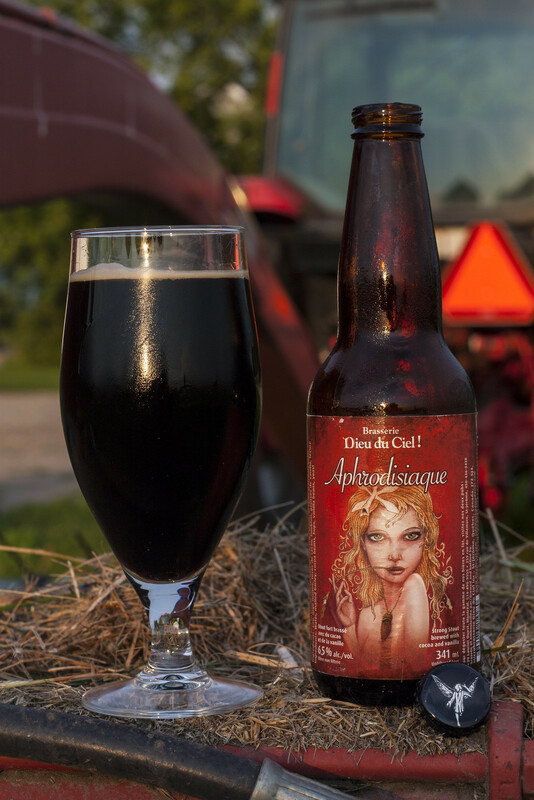 The Aphrodisiaque has an ABV of 6.5% and is a strong stout brewed with cocoa and vanilla. This is one of my favourite brews everrrr. YOU'RE one of my favourite brews ever, HA! beat that! Wait, that didn't make sense.